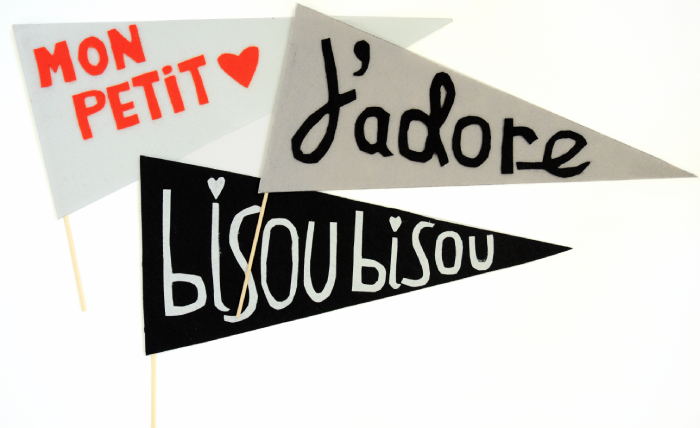 I believe that Valentine’s Day is a great time to show off your crafty muscles. Put your money back in your purse and get out the paper, glue, and glitter. Here are some of my favorite projects and the inspiration that you need to get your craft on. 1. Pretty paper hearts. They could be decor or delivered as Valentines. 2. 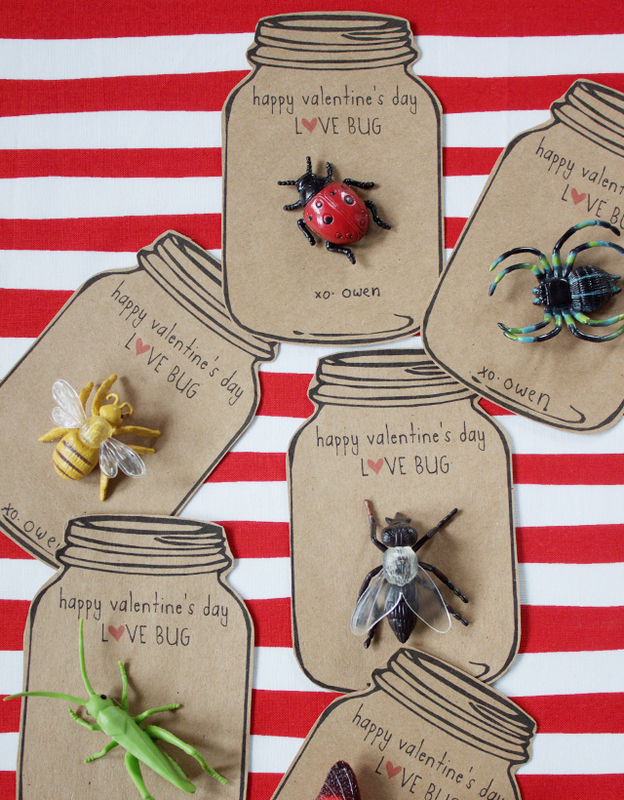 Kids, Adults, Boys and Girls can all appreciate a good “Love Bug” Valentine. 3. 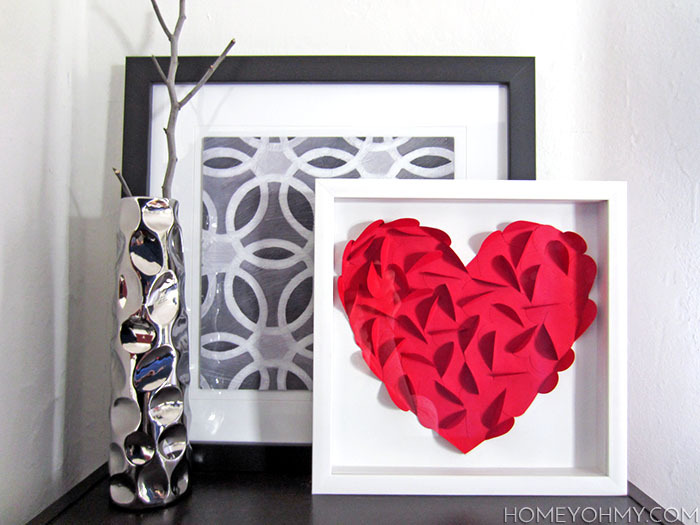 Beautiful, simple and stunning red paper heart art. 4. 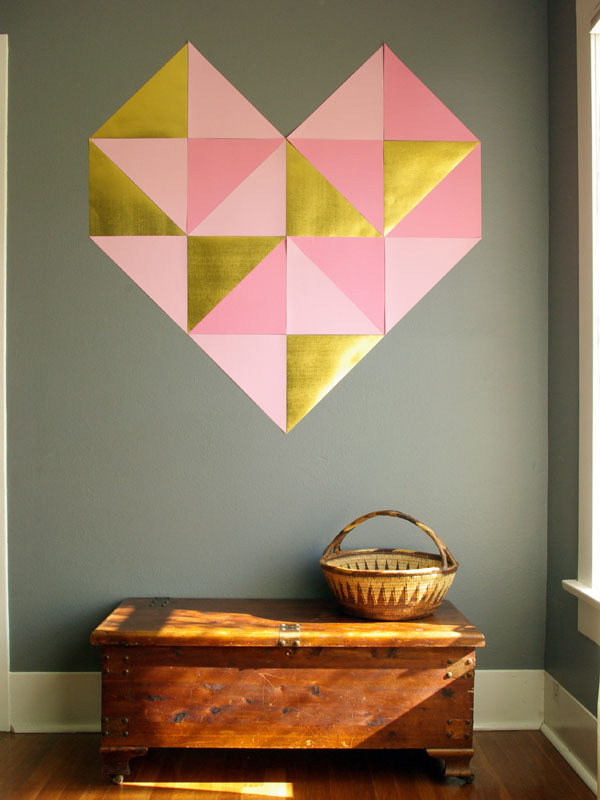 Origami Paper Hearts. An easy project that even the tiniest fingers can help out with. 5. I am like a bug to a lamp post when it comes to shiny things. What is better than a shiny heart? Nothing. 6. Say it loud and say it proud. Why not say it in the most romantic language? 7. Decorate your walls in a beautiful, interesting and temporary way. 8. Make these sweet treats for you friends and family. Also, these guys are a good nut-free and gluten-free treat for classrooms. 9. I love jewelry out of unexpected materials. Head to the hardware store and make a statement necklace. 10. Like everything in life, it’s the little touches that make the biggest impact. Take 3 seconds and create a cupid arrow straws. I bet they make everything taste better. So, there you go. The 10 things that you need to make for Valentines day. Click on each link for the full tutorial. Oh my! The red paper heart is divine!